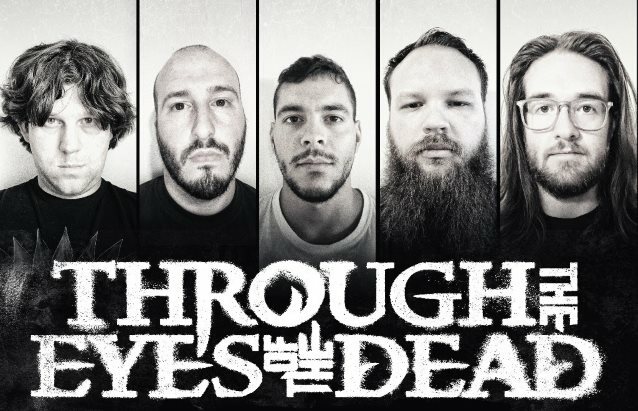 THROUGH THE EYES OF THE DEAD has released new single titled "Hate The Living". The track is taken from the band's new album, "Disomus", which will be released on October 13 via Entertainment One Music (eOne) / Good Fight Music. "We really poured our souls into this one," says THROUGH THE EYES OF THE DEAD guitarist Justin Longshore. "The wait is over. All hail the 'Disomus'." "Disomus" is the long-anticipated follow-up to THROUGH THE EYES OF THE DEAD's last LP, "Skepsis", which came out in 2010. The new disc marks the second consecutive album with vocalist Danny Rodriguez and drummer Michael Ranne (a first in the group's impressive history) together with longtime bassist Jake Ososkie and founding guitarist and songwriting engine Justin Longshore. "Disomus" doubles as the studio introduction of new guitarist Steven Funderburk (also of WRETCHED, LILLAKE) and the return of original vocalist Anthony Gunnells and his successor, Nate Johnson, via strong guest appearances, bringing THROUGH THE EYES OF THE DEAD full circle. 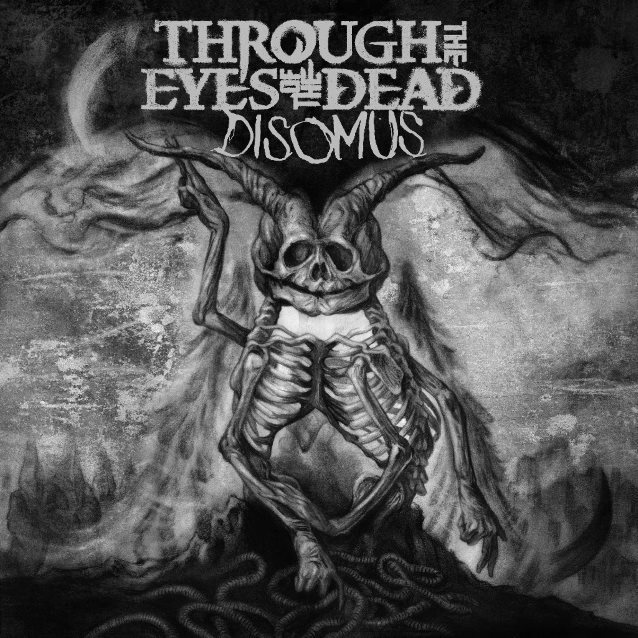 The cover art for "Disomus" was created by THROUGH THE EYES OF THE DEAD's longtime visual collaborator Paul Romano and can be seen below. "Disomus" is the medical term describing an abnormal fetus with two bodies but one head. The album's subject matter includes the tale of a man buried alive by a cult ("Obitual"), a dark magician's creation of a malignant entity via sacrificial killing ("Haruspex"), underworld spirits doomed to roam the earth ("Dismal"), the Styx River of Greek myth ("Vortices In The Stygian Maelstrom"), the themes of the "Alien"/"Prometheus" film franchise ("Teras", alternately named for an abnormal fetus with two heads and one body), and the real-life tragedy and horror discovered by Rodriguez, a Chicago police officer, when called upon to check on the well being of an elderly person who lived alone ("Till Solace, She'll Haunt").